What a Cream Puff! This is the one everyone wants! It's only 6 months old so it has window coverings, landscaping, and all the amenities that you have to add to a new one. 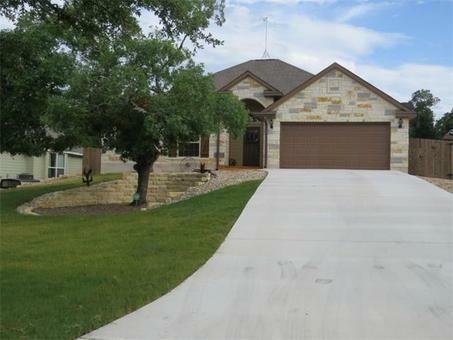 This house is stunning with it's tile flooring, open archways, granite, crown molding & decorator paint! The owner has added $10K in the back with an outdoor fireplace and rocked terracing so no back or side mowing! You can plant cactus or whatever - it's a blank slate for your choosing. Rock fireplace! Covered patio! Squeaky clean!